After spending many years, sometimes even a lifetime, in a home, the thought of moving can be extremely intimidating and a decision that keeps getting delayed until absolutely necessary. Packing up and relocating can be a major process that involves a lot of time and energy. So, Silverado Village Placerville makes it all worth it. The blended new home community environment offers residents a no maintenance, easy lifestyle with additional supportive services, if or when the time comes. 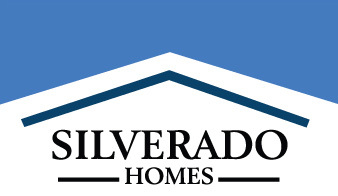 Silverado Village consists of 113 single-story homes, designed with seniors in mind. They range from 1,207 to 1,590 square feet and have two bedrooms and two bathrooms. The homes start in the low $300,000s. They were built with a high level of efficiency and exceed California energy efficiency requirements by more than 18%. Each home features R-8 duct insulation, tankless hot water heaters, water conserving toilets and faucets, and programmable thermostats. Residents have priority access to the Village Center, which offers a spa, a fully-equipped fitness center and an indoor heated swimming pool. It features a multi-purpose room for the community, which can be utilized for puzzles, card games, potlucks, or even just relaxing in the company of neighbors. Homeowners also have access to the Eskaton Lodge which offers restaurant-style dining on-site or delivered directly to the home. Silverado Village prides itself on its multi-level service approach with assisted living and memory care options located right within the same neighborhood. This allows residents to stay in their familiar surroundings while still being able to receive the extra care they need. Although it can be a difficult choice to sell your home, there are many new options which offer the comforts of home while making daily life easier. These can be found at Silverado Village Placerville.